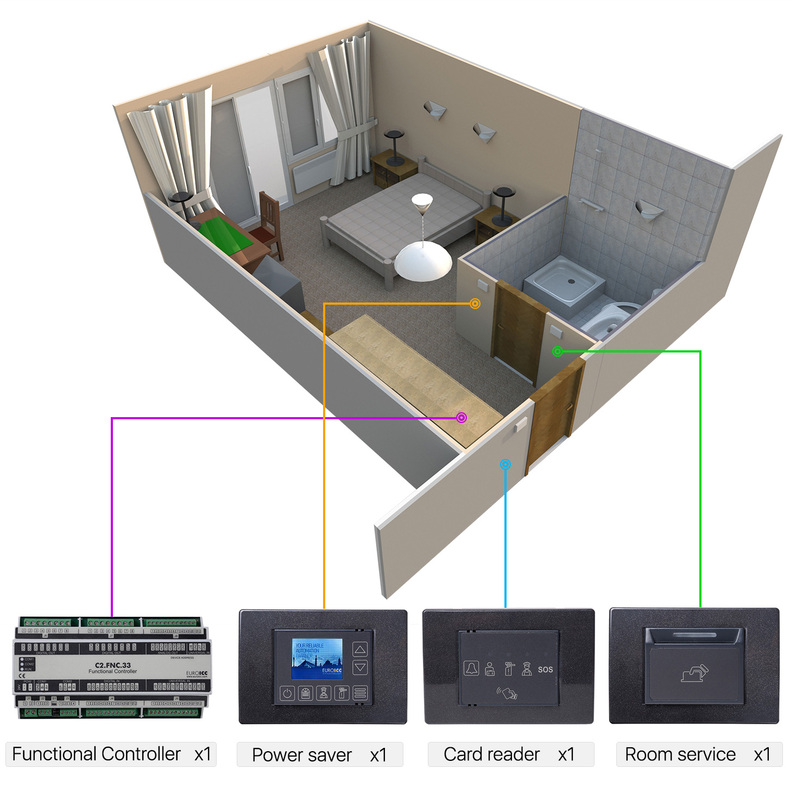 Our system can be configured and programmed based on your needs. Whether it’s a small room or a double room or apartment, we can find the best solution for maximum comfort and saving. 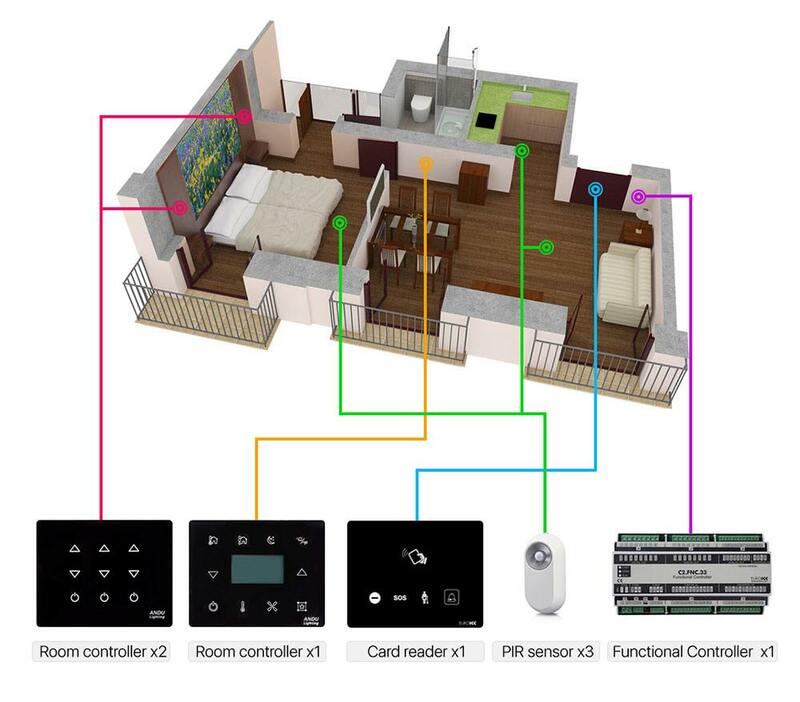 You can choose an option with card holder or PIR sensor, different controllers based on number of elements, different setting of room controllers, and even design of the room panels. 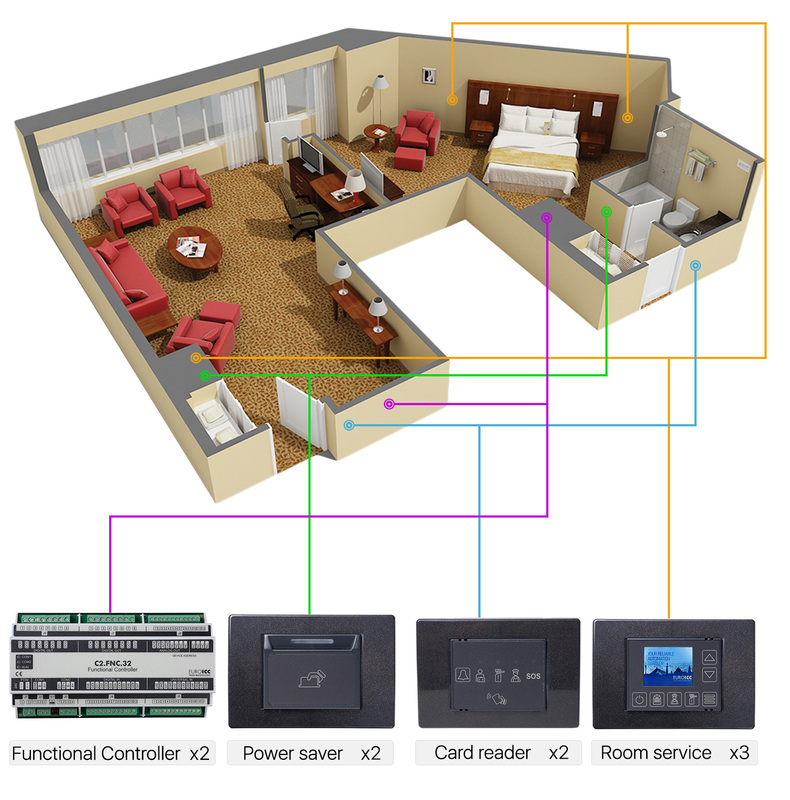 Here are some of the examples of room topology, for a smaller and larger rooms and option with PIR sensor for movement detection. Also presented are options with standard and glass room units. However, we offer much more, and our team is here to offer the best solution for any particular case.